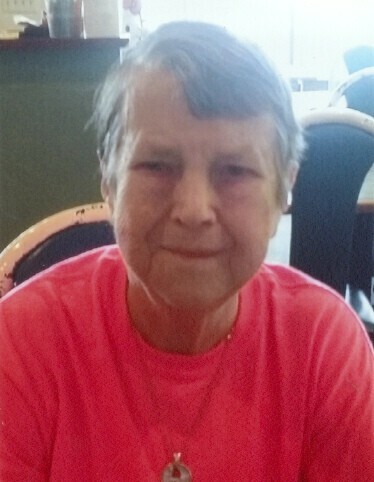 Obituary for Yvonne (Raney) Shrum | Jennings Funeral Homes, Inc.
Yvonne Raney Shrum, 82, of Jamestown Tennessee passed away peacefully on February 3, 2019. She was born in Public Kentucky on March 21, 1936 to the late Oather Nelson Raney and Sarah Bullock Raney. She lived in Greenwood Indiana for many years before retiring to Jamestown in 1994 with her husband Robert Shrum Jr. who preceded her in death. She was also preceded in death by all 9 of her brothers and sisters. What a joyous reunion in heaven that must be. She is survived by her daughter Robin (Keith) Knott of Crossville Tennessee, and by her husband’s children Jerry (Janet) Shrum, Darlene (Larry) Bethke, Peggy Riddle, Sandra (Perry) Heaton and their families. She will also be dearly missed by many nieces and nephews. Yvonne was known for her sense of humor. She loved to laugh and even more she loved to make you laugh with her. She also loved to tell everyone about her many adventures on her “girl's trips” with her daughter, her niece Janie Hamm and her grandniece Nikki Velasco. Thank you to the residents and staff of Signature Healthcare of Fentress Co. for making Mom’s last year one that was filled with new friends and new adventures. She was also a faithful 10 year member of the Sunday School class there. Visitation will be Friday, February 8, 2019 from 9:00 am – 11:00 am with services at 11:00 am at Jennings Funeral Homes in Jamestown, Tennessee. Graveside services will be at the Raney Inabnitt Cemetery in Somerset Kentucky at 4:00 pm EST. Jennings Funeral Homes of Jamestown in charge of Services for YVONNE (RANEY) SHRUM of Jamestown.